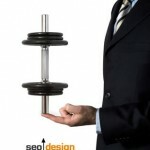 A well known fact in SEO is your site is only strong as the links that reference it. If you practice solid link building tactics and do things like limit the number of outbound links to 10 links per page to avoid hemorrhaging page rank, linking out to websites that can build your link by association profile like Wikipedia, and building links steadily over time, you can garner website authority in a fraction of the time by comparison to other sites who do not employ these tactics. Which came first, the ranking or the link? The main thing to consider is chronology, a website that has been around since 1999 building links, obviously has the jump on the new guy who has a fresh site and is trying to slay the head of the dragon in relation to the keywords they are targeting. 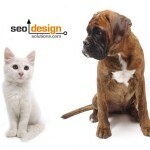 Wanting to rank for the phrase search engine optimization for example, which has thousands of searches each and every day for a new website with just a few scattered links from low grade directories is a delusion of grandeur harbored by many individuals who have the slightest idea how the ranking game is won. I am certain that this dilemma is something which SEO companies are faced with daily, when they have to break it to their clients that the terms that want are simply outside of the range and scope of their current website profile. It doesn’t mean that you can’t get there, eventually, it simply is a matter of setting goals and employing solid fundamentals for on page and off page SEO. The two must unite if you intend to acquire and defend your keep and secure a broad search term that has any level of competition. Establishing a firm foothold for competitive rankings are a strategic acquisition of milestones which all aggregate to a culmination for your websites theme. In plain English if you have enough top 10 rankings by selecting the right keywords to target, over time they add up and your entire website begins to take on the ascension process as the buddy system starts to tug and pull the other pages up in the SERPs (search engine result pages). Once you have settled on the right terms, don’t forget that your own site if set up properly can create become a ranking juggernaut through effective use of the sites meta tags and directory structure via link architecture. If you choose to start with the on page factors first, try to identify terms with moderate to high daily search volume you can either (a) make adjustments to titles, h1 tags or descriptions via the meta tags to dial in your pages for the targeted terms or (b) create fresh content and select the most appropriate directory to place the file which already has a concentration of related pages or page rank / links to provide it the most benefit. For most websites the root folder will be the strongest, for others for example if you have a search engine optimization company, you may wish to create a sub folder called SEO, then build links to that folder and all of the pages in that directory become stronger and (a) spread the total number of back links to that folder throughout the pages and (b) the entire site gets stronger since it is a subdirectory of the root folder, it flows page rank back to the main site. You can in this way augment your own website through deep links back to the main index, or files in the root folder or vice versa. Links from sub folders (at least in the old days) showed up as links from other sites. I am certain to some extent that the logical abuse in search engines has eliminated them from passing link juice on that level, however you can still pack a mean punch with your site from using internal links strategically. If you use the sub folders, make each one count, build 20-50 links to them and each within could be themed to add further to the cause. Then on each one of those pages make sure that they are all internally linked to all other pages in the sub folder, use a drop down menu or text links, text links are preferred if the drop down uses java script, then make sure that each of the pages has a link to your home page as well. 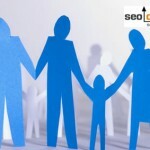 This will give it the dynamo is needs to reciprocate, but the real secret is to build links from the files in the root folder to the sub pages (through absolute links http://www.seodesignsolutions.com/seo/affordable-seo-services.html is an example for affordable seo services. By doing this, the relationship between the pages (point a to point b, point b to point c) link architecture strengthens the whole website. The end result is, you have pages in the sub folders just as strong as the root and all of the content within the pages is fair game for spiders to feast upon. When the spiders and bots have had their fill they will befriend you and increases across the horizon are noticeably present as the long tail of search begins to topple top 10 rankings like bowling pins. Eventually, your website will get tagged as an authority site and VIP status for every page you create can become a reality. Remember keep the links flowing from other sites through deep links to sub directories to augment the entire site, keep your titles and tags on topic, if you change the hyper links during a link audit, then change the Header tags and by all means write a new description that is short, sweet and to the point to put the cherry on top. Through managing the on page internal flow of your site, the external links pointing to it and keeping the content worthy, it’s only a matter of time before your rankings escalate to the top of their potential despite your page rank or age of the domain. Thank you.Very useful suggestion on link building. Good tips. Thanks for sharing. 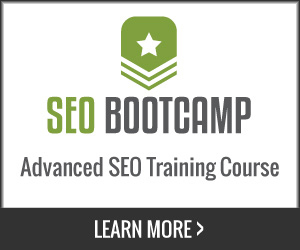 I’ll implement them in my link building. What are your thoughts on sontent structure? What comes first, the strong tag or the anchor link? Very nice explanation, but would you add graphical image to explains the whole argument above? I think it would be easy for readership. Nice ! It’s cool that we are able to get the loan and it opens completely new chances. Such great site, I am confident that it will work quite well on my site， http://www.sevenyearitchs.com. Great work. Very useful article. Thank you.